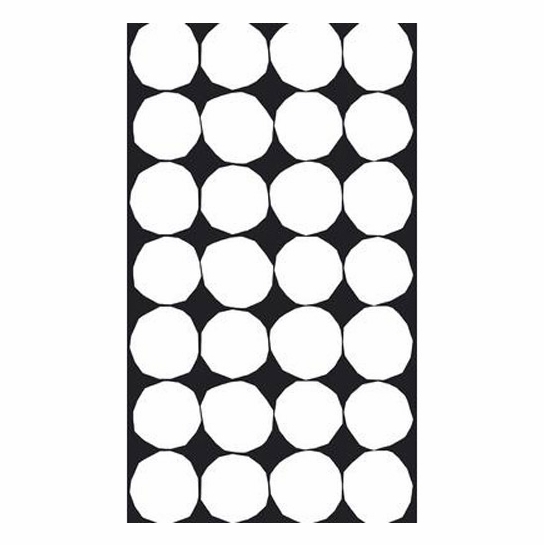 More about Marimekko Kivet Black / White Cotton Fabric Finnish for “pebbles", the perfectly imperfect circles of Marimekko Kivet is beloved worldwide and is one of Maija Isola’s most popular patterns. 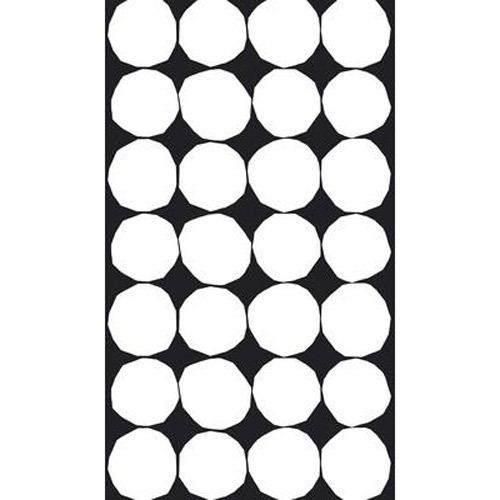 In a mod white on black colorway, the pattern was originally created in 1959, and not only is it still made in Finland, it has maintained its appeal and versatility. 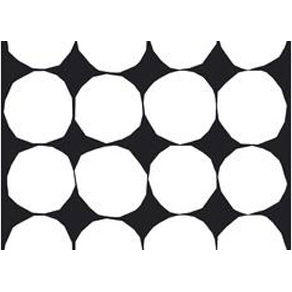 Bedding, table linens, drapes, room dividers and more could be created from this machine washable, 100% cotton fabric. Secondary image shows approximation of one yard. Fabric is cut from the bolt and selection may vary from that pictured. Selvage: 1-1/4" on each side. 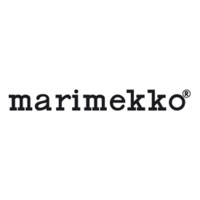 Just what one expects from Marimekko. I plan to use it as a tablecloth in my dining area. 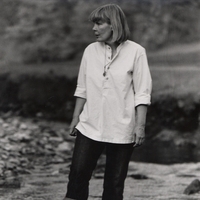 I find myself drawn to the simplicity and contrast of black and white these days. Wonderful! !